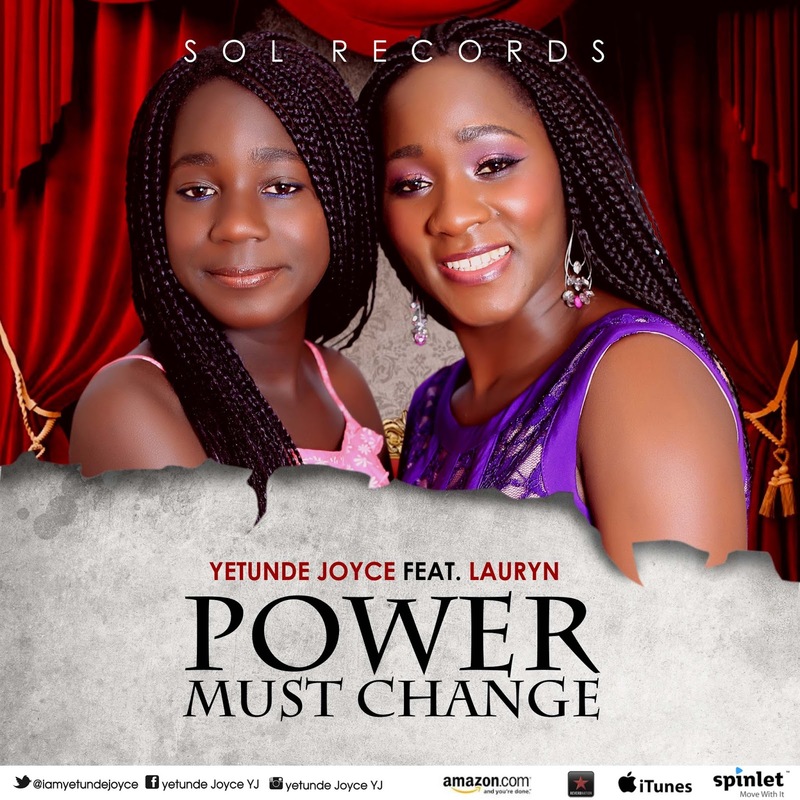 Dublin Based Award Winning Gospel Artist Yetunde Joyce presents ‘Power Must Change’. She expressed her testimony in this matchless God inspired worship. Yetunde Joyce positively declared God is incomparable, unstoppable and merciful! She also stated ‘This is a song that I sang everyday as I was trusting God to spring up after the fire accident that consumed my abode in December 2013. I sang the chorus all day and during vigil. I saw God moved from time to time in every situation of my life. The incredible part of the journey was that whenever I exercise the authority in the chorus of this song, I received testimony phone calls and texts from people I agreed with for specific tensed situations. Subsequently, I was enthused to record the song in August 2015. Ultimately, during the recording session the Holy Spirit moved and I started singing the verse(s)’. Yetunde Joyce Features Lauryn in ‘Power Must Change’. Lauryn has worked with Mary Mother of Hope Choir, Seed of Life, Treasure Unravelled and presently in the RTÉ Choir Ireland (RTÉ Cór na nÓg). Lauryn started singing because it was a gift from God and have been singing since she was 4years old. She loves singing, dancing, and playing piano. Lauryn hopes to continue revering God with committed worshippers because God is looking for True worshippers.